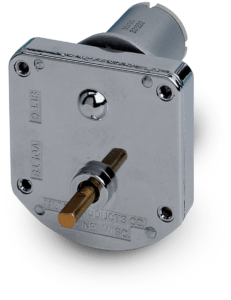 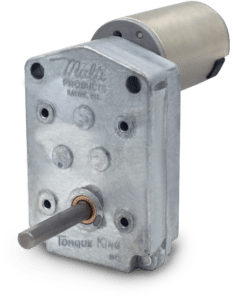 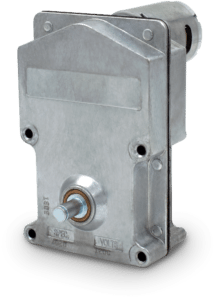 Model 1600 DC Gear Motor | MultiProducts Company, Inc.
Our heavy duty and rugged gearbox offering a gasket seal gearcase design. 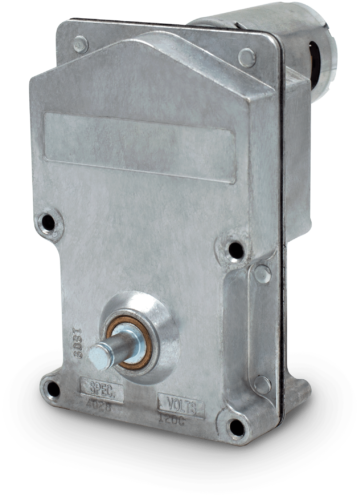 Optional motor cover is also available. 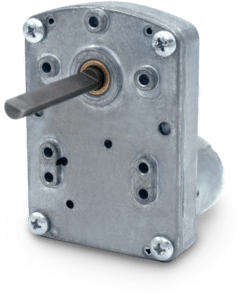 Output shaft can exit from either side of the gearcase in addition to dual shaft extensions. 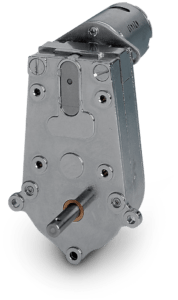 The gearcase can handle a continuous torque rating up to 150 inlb. 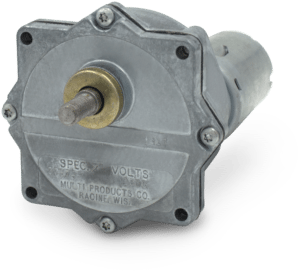 Available gear ratios allow output speeds ranging between 4 to 200 RPM. 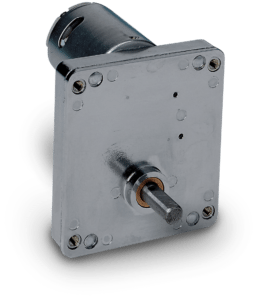 Compatible with 35 mm and 55 mm DC motor frames. 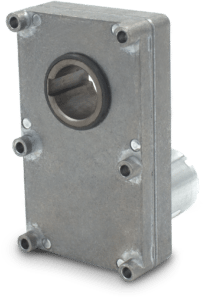 Output shaft diameters range from 3/8” through 1/2”.